It was around 10 o’clock on a Friday night when Meghan Richards decided she was going to try out for the official dance team of the Washington Wizards the following morning. Three weeks and multiple auditions later, Richards is now one of the Wizard Girls. Instead, Richards made a snap decision the night before the try out, which was held on July 13. Richards originally began dancing at the age of 12 because her older sister was doing it. “I didn’t really take it too seriously at first, but I was an artistic kind of kid so it was a good outlet for me,” she says. She trained at Centre Dance, located at 2121 Sandy Drive in State College, for seven years under the guidance of her teacher and owner of the studio, Nicole Swope. While in high school, Richards participated in dance competitions in different cities “pretty much every weekend.” After graduation, she moved to Los Angeles, where she danced in music videos (she’s in the video for “Hush Hush” by the Pussycat Dolls) and commercials. In 2010, Richards received a scholarship to dance at the World Dance Movement in Italy. And when Richards lived back home in State College for a year, she taught at the same studio where she learned most of her dancing chops. More than 200 dancers tried out for the Wizard Girls. It was a long, stressful process, Richards says, but she continued to make it past the cuts until there were only 30 dancers left. During the final showcase, students, teachers and parents who know Richards through Centre Dance were texting and tweeting their votes for the dancer. Richards ended up winning the popular vote at the showcase. Rehearsals with the Wizard Girls begin this month, and Richards is extremely excited about performing again. “Just to be a part of the organization and a group of girls who all share the same passion is a really exciting thing,” she says. 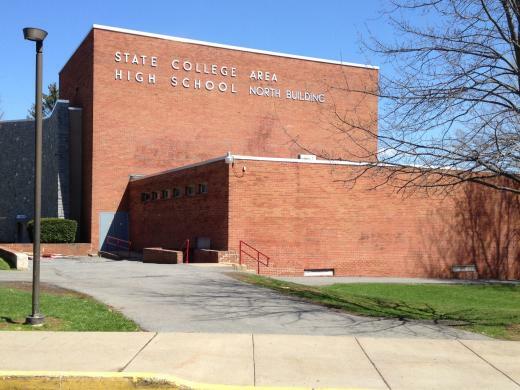 The State College Area School Board of Directors cleared up safety and budget concerns regarding the State College High School renovation project at its meeting Monday Night.